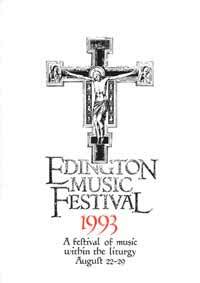 Welcome to the 1993 Festival of Church Music at Edington. I hope that you find the week to be both musically and spiritually uplifting. 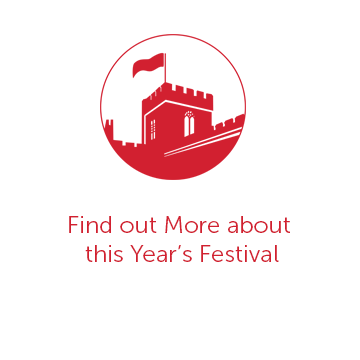 Since last year’s Festival, the Church of England has taken one of its most controversial decisions, one which has caused healthy debate and criticism as well as unwelcome division. In such a difficult and complex area as the ordination of women we must always keep Christ at the centre of our thoughts and not be led into the confusion and pain that can result from insensitivity to either side. Any group or institution must debate and consider change. Christ made more changes in his thirty-three years than any Synod could! Let us always keep an open, receptive, fresh and Christ-centred mind and realise and remember those things that unite us in our belief. How lucky we are that at Edington we can concentrate on those matters which unite us all in Christ. This year’s theme is one of the most fundamental – redemption. The week begins in the confident hope that redemption is a reality from the beginning of creation (Christ the Alpha and Omega). We then trace the elements of our redemption: the fall from grace and the temptation of sin on Tuesday; the comfort and advice of the Prophets on Wednesday; on Thursday, the Incarnation, the means through which salvation is made possible; Friday deals with Christ’s ministry on earth; and Saturday is devoted to the heart of our belief – the death and resurrection of Our Lord, through which the burden of sin and the fear of death are removed. There is as always a wide selection of musical styles throughout the week from the earliest chants sung by the Schola to the Festival commission. This is the first year for some time that we have commissioned a composer to write a piece for the Festival. I feel very strongly that the Church has always required people to give of their best to the glory of God and it is essential that we encourage this. Andrew Gant (a regular member of the Festival for many years and now established composer) has written a dramatic scene for the Saturday evening Sequence which is designed to use all three choirs, instrumentalists and soloists. Also on Saturday there will be a Sung Requiem on Saturday morning for members of the village and Festival. I hope that the extra Evensong on Tuesday will be appreciated. Throughout the week we will be looking at a small selection of the poetry of Gerard Manlay Hopkins. Hopkins’ poetry is not easy, his style is often complicated and in particular his use of words is fascinating. There will be copies provided of the texts to be read. Please do not dismiss him because he is hard work! God did not stop communicating through his followers after the scriptures were written and it is good to read other people’s perceptions! As always there is an almost endless list of people to thank. The Festival would not be possible without the enormous amount of time and energy devoted to the organisation and execution of the services. 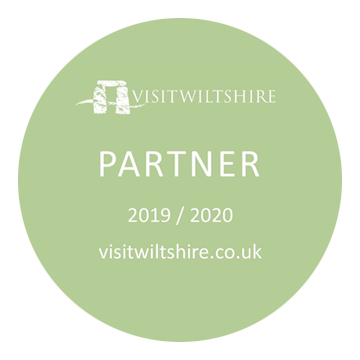 May I thank especially Patrick Elwood, Janet McMullin, John Barnard and Paul Proudman, David Trendell, Peter McCrystal and Jeremy Summerly, and as always, the Church community and all the villagers of Edington and the surrounding areas.